Display cooking is receiving a warm reception everywhere and seems a trend that is here to stay. But what exactly is it? 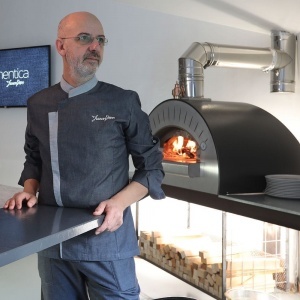 In fact, it is a show where a chef or a pizza maker works in front of people and reveals his kitchen tricks and recipes. This movement is greatly encouraged by customers who search for transparency and interaction, every dish is described and introduced in a sort of cooking class made by a professional for a few special guests. 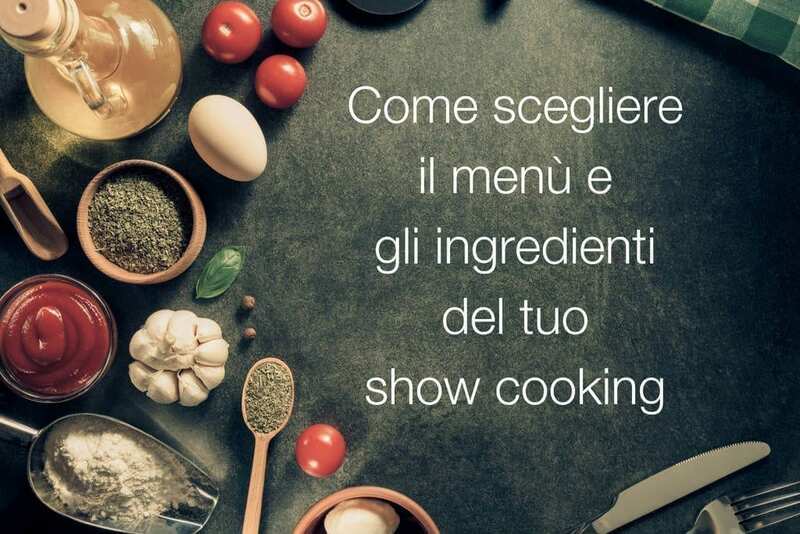 Putting on a show with display cooking in a pizzeria is no easy task. You must take account of the available space and to remodel it with the necessary tools. 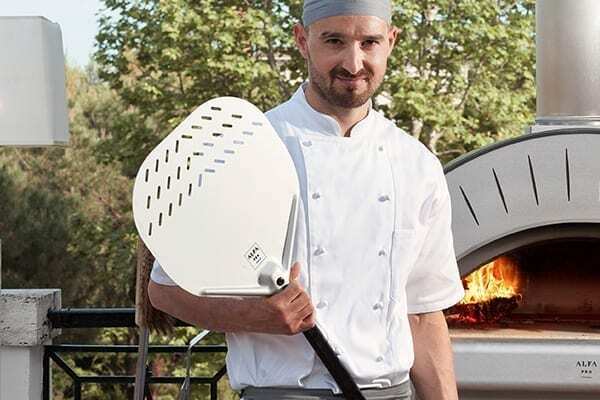 Cooking equipment is paramount to make a show worth of the name as well as the choice of the right pizza oven. Let’s see the main points to make your show a success. Preparing the various stages allows you to give consistency to the show. 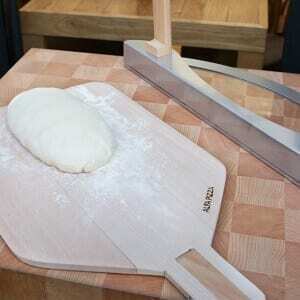 Calculate the prep time for dishes, store the ingredients and have the right tools to hand. If food tasting is not included, a sketch of recipes may be a good idea and in this case trust on your pizza chef to make the process visually appealing. 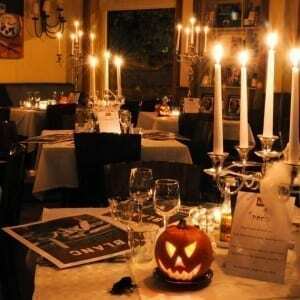 The menu is the key factor and must be perfectly defined. Above all, focus on which between the product and the food must be highlighted. If it’s the oven, showcase its qualities and strong points while if it is food find the best balance to evoke the senses acting on colour, perfume and taste. When you make the menu opt for simple dishes and be inspired by seasonal and terroir produce. The quality of ingredients is of the utmost importance for display-cooking success. Cut the items into the same size to ensure even cooking and make sure that the customer can see all of them keeping in mind that some ingredients will lose colour and vibrancy if prepped just before the service. 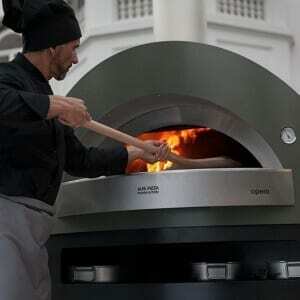 The wood-fired oven is the ultimate in cooking pizza and it calls old world and genuineness to mind. 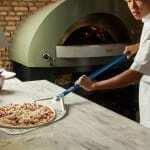 For a great show, built-in wood-burning ovens are the best pick. 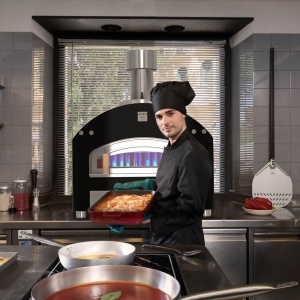 They can be easily installed in every sort of restaurant or pizzeria and the great range of models allows you to find the one that fits in well with your facilities furniture. 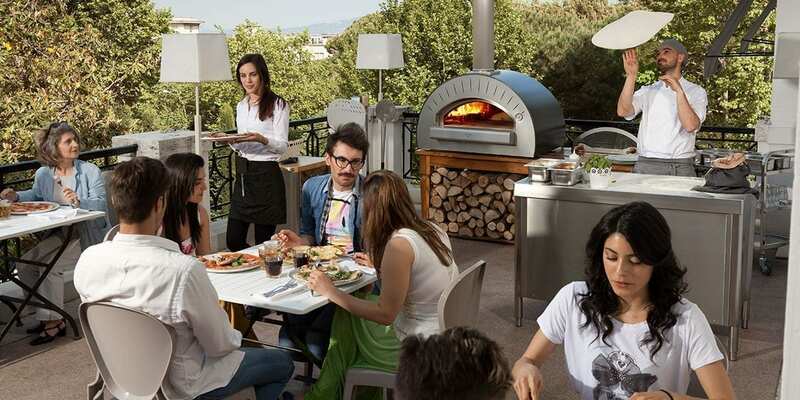 If the available space is not enough, the latest models provide you with the same productivity of wood-fired ovens but so compact and easy-to-use that you can sit them on your worktop and get them going in a jiffy. 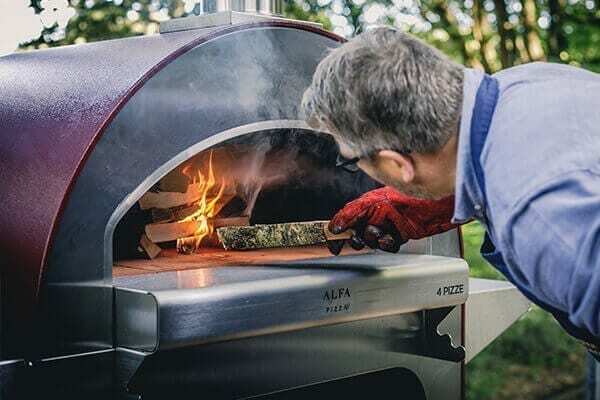 These countertop ovens make the grade if you want to bake a real Neapolitan pizza in 60 seconds or putting on an outstanding gastronomic performance. 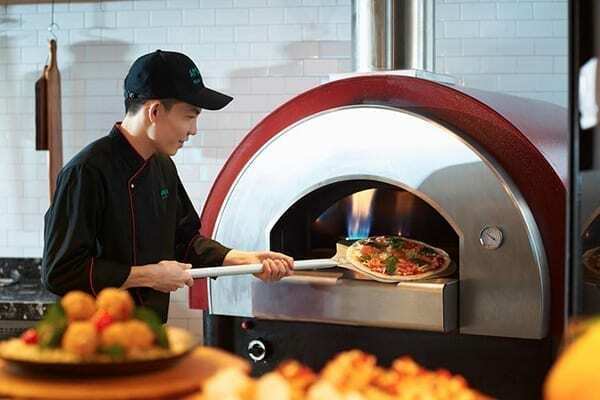 Nowadays, the pizza maker is a true kitchen professional endowed with an engaging personality who must share his passion with the guests to articulate the different options and guide them smoothly through the process. Besides a solid training, a bit of showmanship can really help him to succeed in open kitchen spectacles. It is pointless to organize display cooking without promoting it. There are loads of ideas on how to market your event by relying on professionals or by doing it yourself. From distributing flyers with menus and products to publishing articles on blogs or using Facebook or Instagram groups, just make your choice without overwhelming your potential attendees with promotional contacts. Display cooking may take various forms but, in the end, it comes down to a live performance where a chef cooks in front of the audience. 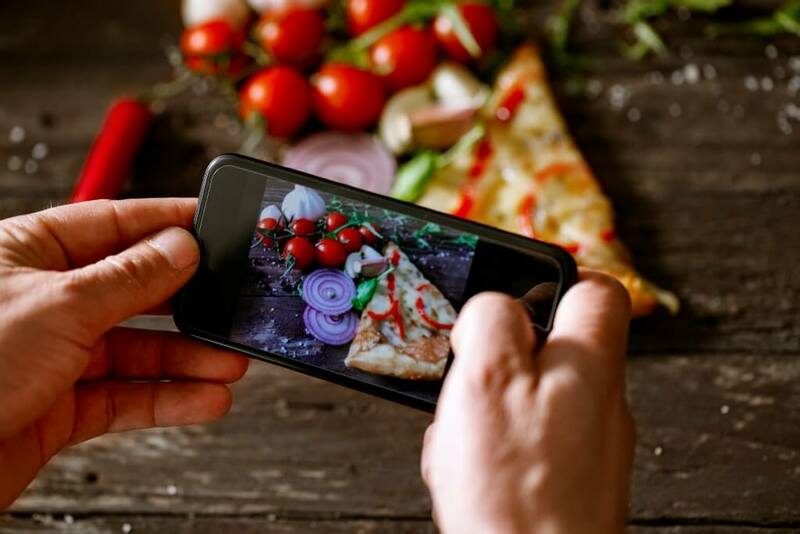 Its main purpose may be to promote products, food or the establishment but this can’t occur without giving customers a sense of control and interaction with the culinary staff. Transparency is the key driver behind open kitchen layout, preventing the feeling of isolation, breaking down physical and mental barriers and providing the guest a high-level culinary experience that puts an old motto back on centre stage: you eat with your eyes first!